If you love spending time outside in your garden with friends and family and want to extend your enjoyment into the cooler months, the Morso Kamino Outdoor Stove could be just what you are looking for. 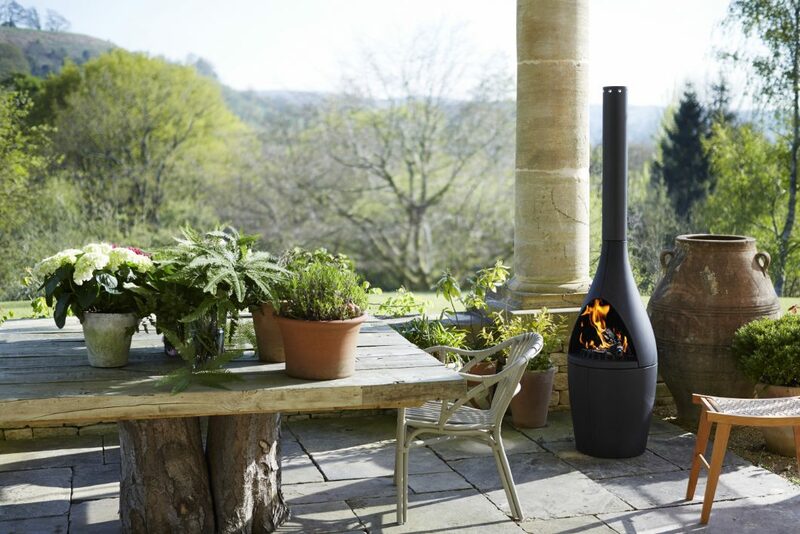 Beautifully designed and crafted, the Morsø Kamino Outdoor Stove is a perfect centre point for any garden or patio – adding a glowing warmth and contemporary and very Danish feel to your outdoor living area. Not only does it look great but it’s a joy to use. You can easily turn the appliance to make more of the wind conditions. 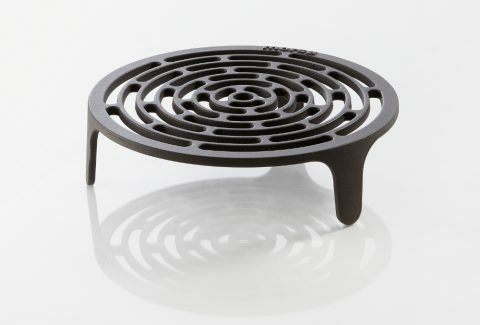 The Kamino is made from solid cast iron, meaning it looks beautiful but it’s solid and durable too. It’s designed to live outside all year round and stand up to cold weather, meaning it can stay as a patio feature after your fair weather garden furniture has been packed away. The powder coating on the oven is marine standard – the same sort of coating which is used in wind farms out at sea, so it’s designed to withstand whatever the British weather has in store. You don’t need to think of the Kamino as a summer only appliance, it can be used all year round, providing a glowing warmth on colder nights. Love the delicious taste and smell of food cooked outdoors? You can also cook on the Kamino by adding the optional Morso Tuscan Grill. The grill is placed above the hot coals in the stove, allowing you to grill all kinds of food – including meats, fish, shell fish, vegetables and cheese. Extend your enjoyment of the great outdoors with the Kamino Stove, creating a warming heat to help stave off those cooler evenings in the early spring and late autumn months. To view our whole range of Morso Outdoor Living products visit the Morso Outdoor Living Shop or visit our Exeter showroom to see a Kamino Stove up close.